It seems harder and harder these days to turn on the news or scroll through headlines without seeing the words “health,” “diabetes,” or “obesity” jumping out at you. The obesity epidemic is only getting worse, and with that, the number of diabetes victims in our country is climbing. This article will help explain the different type 2 diabetes treatments available to you. It is recommended that you go and see a physician if you suspect that you may have diabetes. Once diagnosed, you should continue following up with a physician. He or she will want to ensure that you have to know the importance of blood sugar control. There are two key ways that our physician will assess whether or not your diabetes is under control and from here he/she will be able to prescribe a proper type 2 diabetes treatment. Of the two methods of assessment briefly mentioned above, one is the measurement of blood glucose, which more commonly known as blood sugar. Your physician will determine how he/she wants your blood sugar levels to be collected, which again relates to blood sugar control. There are 2 ways that this can be done. Blood glucose can be measured in the “fasting” state. 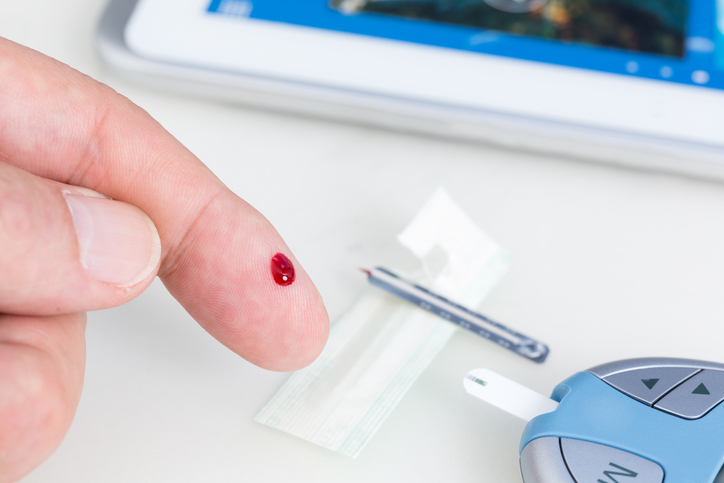 This would mean that the patient will not have eaten for at least 8 hours prior to the blood collection, which is known as your “fasting blood sugar.” The other collection type is known as “random blood sugar.” Your blood can be taken and measured randomly from a sample taken at any time. The other method is through measurement of your A1c. Your A1c is known as Glycosylated Hemoglobin, which is just a fancy way of saying that it measures your average blood sugar level for the time period of the past two or three months. For instance, if your blood sugar level was high during this two to three month period, your A1c would be high. Consequently, if your blood sugar was generally low for the past few months, your A1c would be a lower value. This test can usually be done through a local blood laboratory or at a doctor’s office. However, you should note that this test cannot be done at home. This is an important number to monitor on a regular basis as it indicates whether or not your type 2 diabetes is under control and whether your type 2 diabetes treatment is working. We are not going to go into all of the numbers, but essentially a normal A1c is less than 6.5, while a poor A1c is greater than 9.5. As aforementioned, with diabetes, it all comes down to blood sugar control. So for you, what does all of this mean? There has been a direct correlation of lower blood sugar levels with decreased diabetic flare-ups. This means that if your blood sugar is lower, your diabetes is less likely to be present and be projecting symptoms into your daily life. Your end goal as a diabetic should really be to keep your blood sugar under control which can then reduce your number of hyperglycemic episodes. Finally, what should you do with this information in order to try and maintain healthy blood sugar levels? The key to blood sugar control is logging it immaculately and consistently. Write the numbers down in a journal and be sure not only that you are aware of the trends, but also ensure that your physician is monitoring the trends. Good luck in regulating those numbers and with your type 2 diabetes treatments!